I picked up this top at Target for post baby workouts... and let's be honest just to wear (athleisure). It also comes in gray. I got both! Some of you might like to know that there is no visible logo on it. It's an open back but not too open where I would feel uncomfortable out and about. I have a list of coffee table books I hope to acquire soon ... including this one. 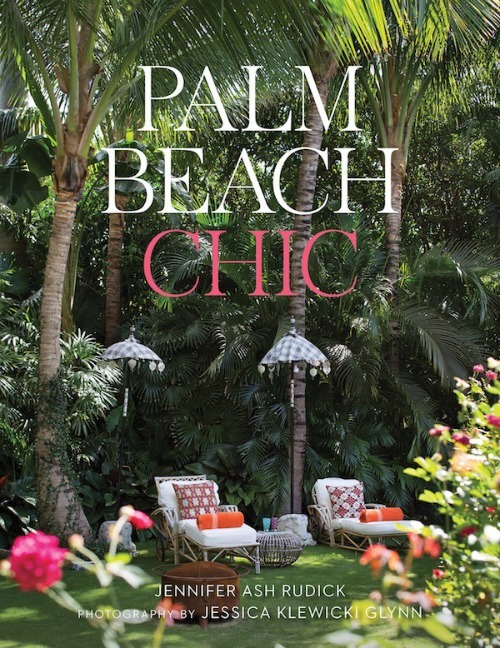 Dreaming of Palm Beach! My goal was to send out my shower thank you notes two weeks after the luncheon. Mission accomplished! Back during my wedding planning I made it a habit to write a thank you note for anything I received in the mail right away so I wouldn't forget or feel overwhelmed in the end. It stuck and I have to say it really helps! I start to spell things wrong (including my own name) when I have too many to write. Sharpie pens are my deteriorating handwriting savior. 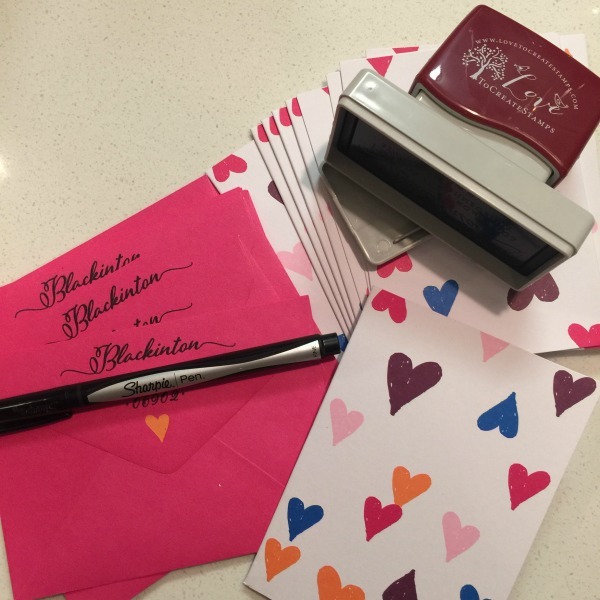 Since we recently moved it was time to order another custom return address stamper. Adds a personal touch to any stationery. 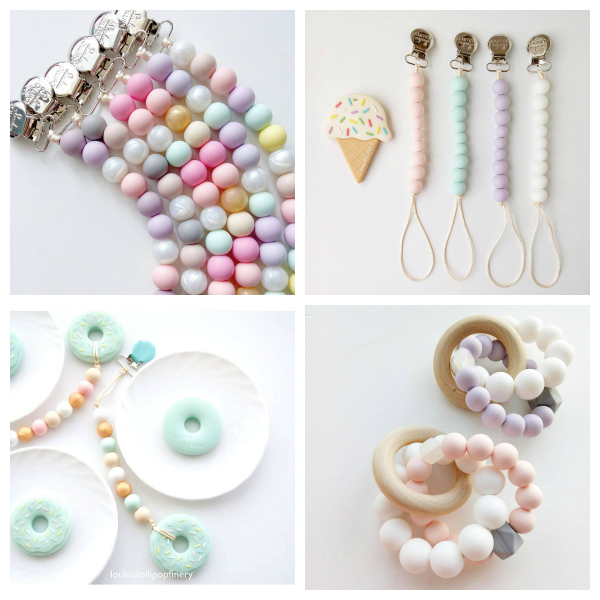 Lots of pastels... I'm ready for spring! 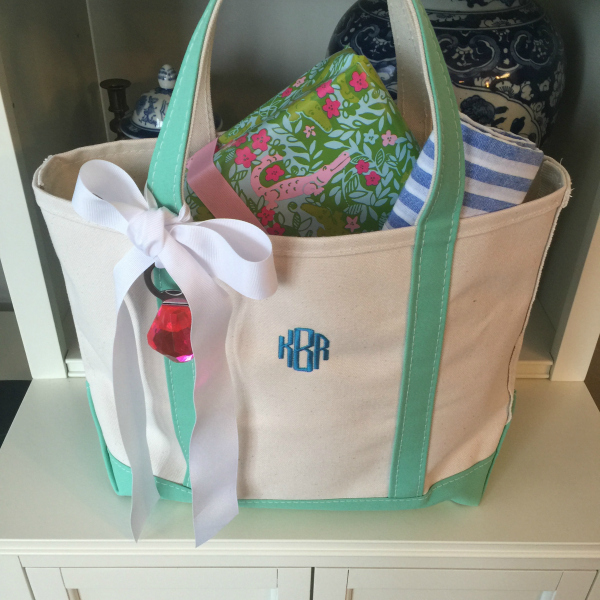 I love that tote and want to steal the idea for a few friends getting married this summer... I followed the link but don't see the color on the website. Where did you find? Thank you! It's the LL Bean Open Top Boat and Tote .... When you click on the link you have to select the medium or large size bag. It's not available in small in the Sea Mint color. Hope that helps! I just bought the mint LL Bean bag for one of my friends for her 30th! Loved the color!